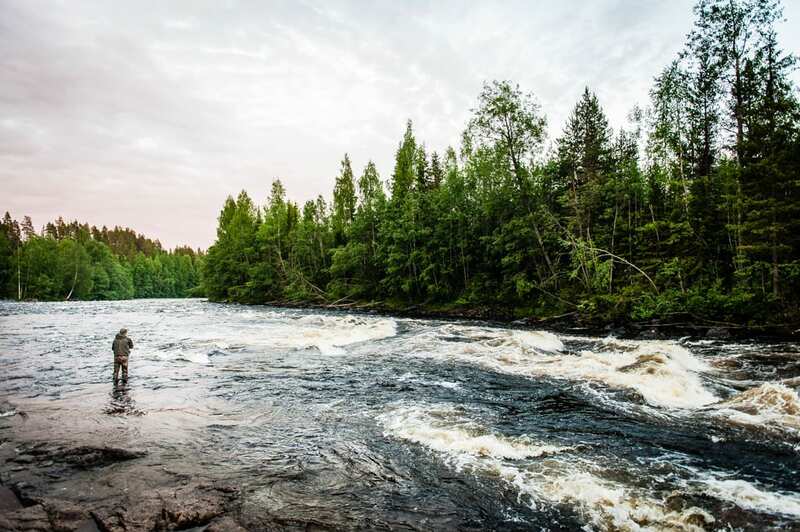 There are five rivers in Skellefteå, three of which are classified as wild salmon rivers. 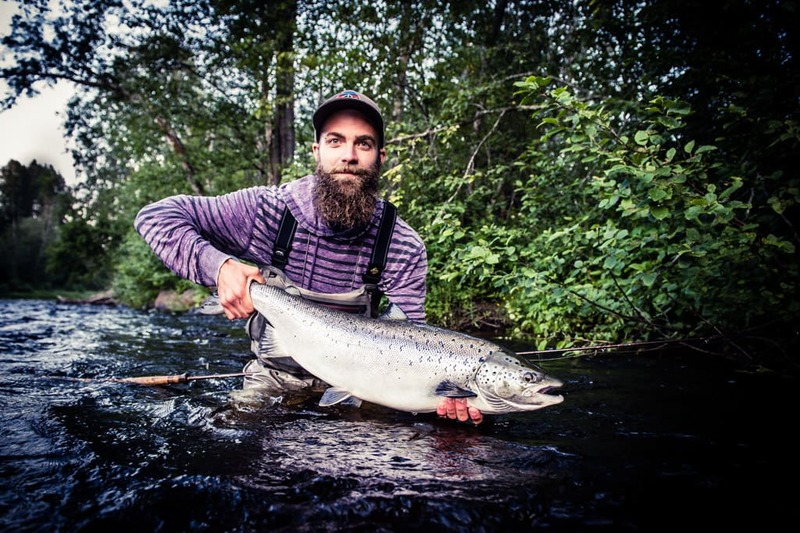 Such a concentration of salmon waters cannot be found anywhere else in Sweden – and the crown jewel is Byske River, without a doubt, however, you need to earn your Byske salmon. 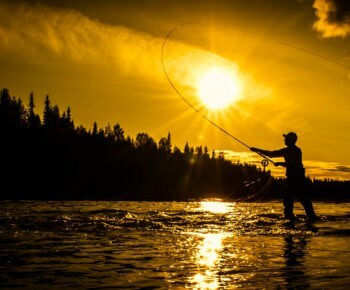 The Byske River is a formidable fly fishing river. Just consider the fact that the river has an impressive drop of 38 metres in the last 11 kilometres before reaching the sea — and one fishing licence covers a river stretch totalling 100 kilometres – two banks! The Byske River is also very accessible. Roads run along the north side of the river and forest roads run along large parts of the south side. – But don’t think that you can just walk out there and catch a Byske salmon, smiles Andreas Andersson, dedicated salmon fisher, born and raised by the Byske river. Salmon season begins in late May. – If there’s a strong flow of water, you need to get down to the fish, says Andreas. 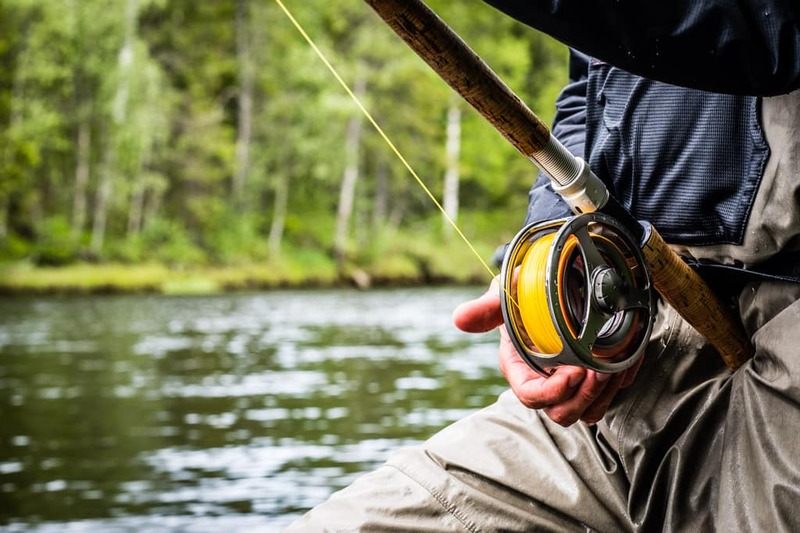 The rule of thumb is ‘the deeper the better’ and the whole point of sink-line fishing is to ‘hang’ the fly as close to the salmon as possible. – You can’t just go with the heaviest that you’ve got and hope for the best. You have to keep check on your gear. If you don’t, you’ll always hit the bottom or worse, hook the salmon wrong. The risk of this happening is particularly high if you sweep the fly quick and deep. Picture keeping the rod high and cast narrow angles. According to Andreas, you must actively adapt your fishing to the environment and current conditions. – If I don’t I have the energy to switch lines when switching fishing spots, I might as well go home and go to bed, he laughs. When the water has become slightly warmer and the flow is less intense, it might be time to sweep the fly closer to the surface in a more traditional manner. – A tip then is to fish the fly as quickly as possible. The river fishes very well throughout all of June. July on the other hand often means bathing weather with water temperatures a tad too high. It makes fishing a lot more difficult and things won’t usually pick up until after a real summer downpour. In August, the temperature normally goes down and schools of smaller salmon will then enter the river. In addition to casting heavy sinking lines, a Byske fisher must be prepared to wade deeply. Not always of course and not at every spot, but the Byske River is tough, particularly early in the season. This means that the Byske River is not for everyone. On the other hand, few fish warm a weary fly fisher’s heart like a silver shimmering Byske River salmon. – Thirty years ago, we totalled 13 salmon fishers active in the Byske River. Back then we met at Landfors. That used to be our point of departure. Sometimes, one of us had seen a fish and that really caught the attention of everyone else in the group. That was the level of things. The river was long and the fish were few. That made its mark on the fishing. – You know, he continues, one thing remains the same. You still have to earn your Byske salmon. That’s just the way it is. A Byske fisher can never grow soft, you have to have a strong head and an iron will. Yes, sometimes you must be almost foolhardy. It’s often cramped near the water, with trees and shrubbery in the way. – Yeah, you know, Anders smiles and scratches his head, there are simpler salmon rivers than Byske, but none more rewarding when everything is right. 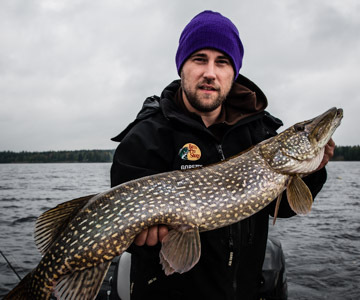 When it comes to sports fishing Skellefteå is known for two things – Salmon and Pike. Or the beauty and the beast, if you will. 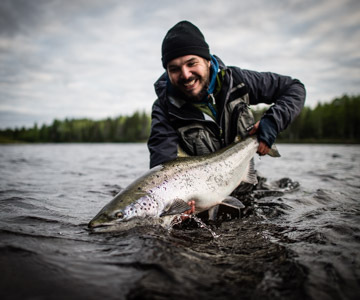 How to catch a Baltic salmon in Swedish Lapland? That’s the 100-dollar question for many salmon fly fishermen. But there’s some good news. It’s getting easier. A lot easier. 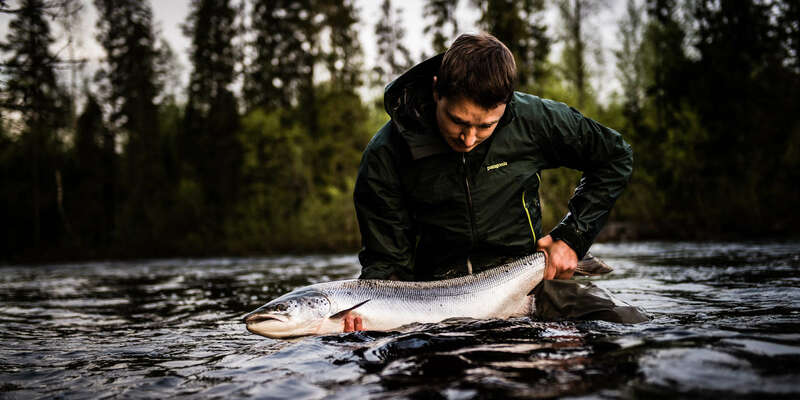 During the last years, salmon runs in the wild Swedish Baltic rivers have been heading in the right direction.